Are There Any Public Sector Companies Out There That Reward Shareholders? The next few months will be interesting to see how the Jet Airways saga pans out. The company's losses are piling up. It seems to be running out of cash. Just last month, it warned its staff that the airline will be grounded in 60 days if they don't agree to pay cuts. Whether the airline will eventually shut down like its infamous and erstwhile peer Kingfisher Airlines remains to be seen. The point is the crisis staring Jet Airways is nothing new. Airlines is a brutal business to be in. Air India has been grappling with a crisis since quite a while now. But of course, since Air India is a government company, the government has been time and again bailing it out. In other words, throwing good money at the bad. In fact, it's not just Air India. The government seems quite hell bent on pouring money into chronically loss making public sector enterprises. Hindustan Photo Films is another classic example. And mind you, it is ultimately the taxpayer who ends up paying for this. Vivek Kaul, as you know, has been writing extensively on the topic in his Diary. In the past columns, we have discussed many cases of central public-sector enterprises continuing to bleed and the government continuing to bail them out, year on year. This includes loss makers like Air India and Hindustan Photo Films Manufacturing Corporation, which have been losing money for many years. Are All PSUs the Same? Now, the million dollar question is - can all public sector enterprises be painted with the same brush? There is no doubt that chronically loss making PSUs need to be shut down and it makes little sense to keep bailing them out when that money can be productively employed elsewhere. But there are quite a few fundamentally strong PSUs in the country. They operate in sectors such as energy, metals, ship building, power to name a few. These are tough sectors and yet these PSUs have been making money on their own without the government injecting capital into them. True, these are not going to grow at rates that will get your pulse racing. Given the kind of sectors they are in, high growth is the exception rather than the norm. It is also true that PSUs have to grapple with problems such as inefficiency, bureaucracy, and being subject to the government's whims and fancies when it comes to policies. And we are not just talking about the loss making enterprises here, even the profitable ones have their share of problems. It also explains why quite a few of them trade at a discount to their private sector peers in the same industry. What About Investing in PSU Stocks? However, there are still a few PSUs that are compelling not only because they are profitable but also because of the enticing dividend yields that they offer. If we look at the companies that make up the BSE PSU index, this is the list we get ranked in terms of dividend yields. Of course, this is just a list and in no way indicates that you could blindly put your money in any of them. It makes sense to go deeper into the fundamentals of the business before you select any. My point is that it would be unwise to pass over PSU stocks entirely. If the business fundamentals are good, and the dividends are healthy, then these are safe bets that investors can rely on to build long term wealth. 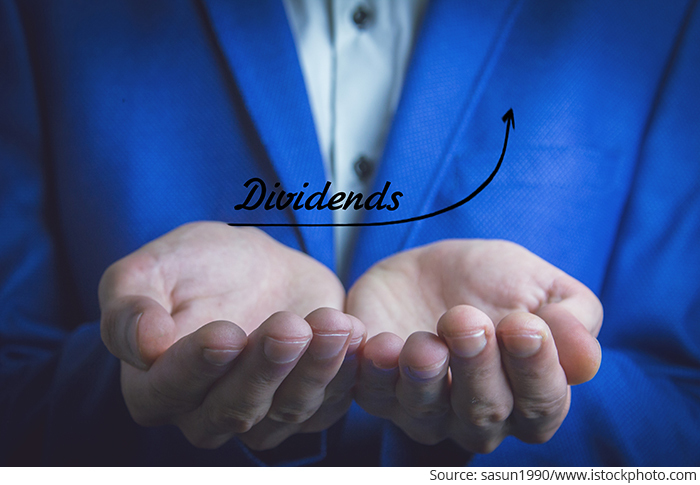 As the editor of The India Letter, I had been scouting around for PSUs which I think are different and can make the cut - both in terms of dividend yields and healthy financial performance. And I recommended one such PSU stock in The India Letter last month. Stay tuned for more such profit making opportunities! Equitymaster requests your view! Post a comment on "Are There Any Public Sector Companies Out There That Reward Shareholders?". Click here!